WASHINGTON – U.S. Senator Chris Murphy (D-Conn.) announced on Monday that AMK Welding in South Windsor is this week’s “Murphy’s Monday Manufacturer.” Founded in the garage of South Windsor native Alva Rossi, AMK is celebrating its 50th anniversary this year while now operating out of a 40,000 square foot facility that employ over 35 workers. The company, which specializes in welding complex assemblies, is a subsidiary of Meyer Tool Company. 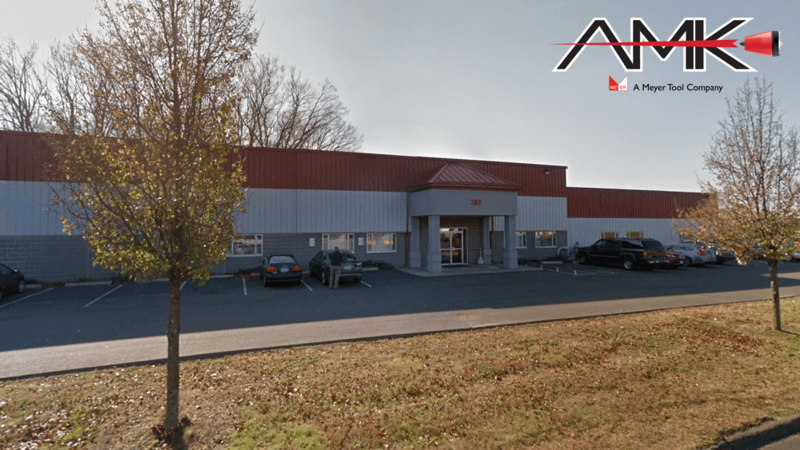 Located in the heart of Connecticut’s “Aerospace Alley,” AMK serves a variety of industries, including aerospace, commercial, and defense industries, for companies like Pratt & Whitney, Electric Boat, and General Electric. AMK also works closely with local high schools and colleges, like Howell Cheney Technical High School and Goodwin College, to train the next generation of welders. AMK Welding has played an important role in space exploration through their work on the Nozzel Seal Support Assemblies for the RL10 Rocket. The RL10 was the world’s first liquid hydrogen/liquid oxygen-fueled rocket engine. The historic RL10 rocket, with an AMK welded nozzle support ring, is prominently displayed at the Connecticut Science Museum in Hartford. Additionally, AMK was one of the first companies to successfully take on the challenge of welding “cast single crystal alloy” configurations. The Single Crystal casting process, invented by Pratt Whitney , is now widely applied throughout the aerospace industry, and was recently designated a national historical landmark with a permanent display and showcase at the New England Air Museum (NEAM) in Windsor Locks, Connecticut. “For 50 years, AMK Welding has provided quality welding for our country’s top products. AMK Welding is critical to the manufacturing of our country’s subs and jets, and their work on the RL10 Rocket is incredible. Congratulations on celebrating 50 years of manufacturing,” said Murphy.